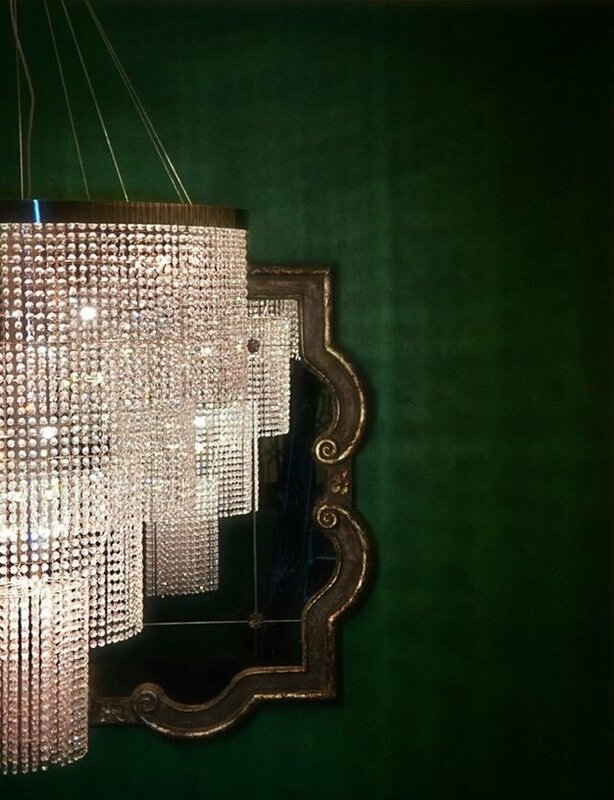 Emerald wallpaper behind glamorous crystal chandelier (fashiongonerogue). 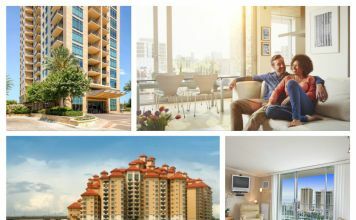 When designing the interior of your home the first thing you should decide is what feeling you want you and your guests to experience when entering the space. 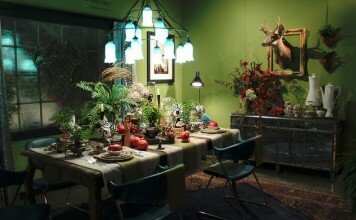 If you want to impress your guests, Emerald Green is your best bet! 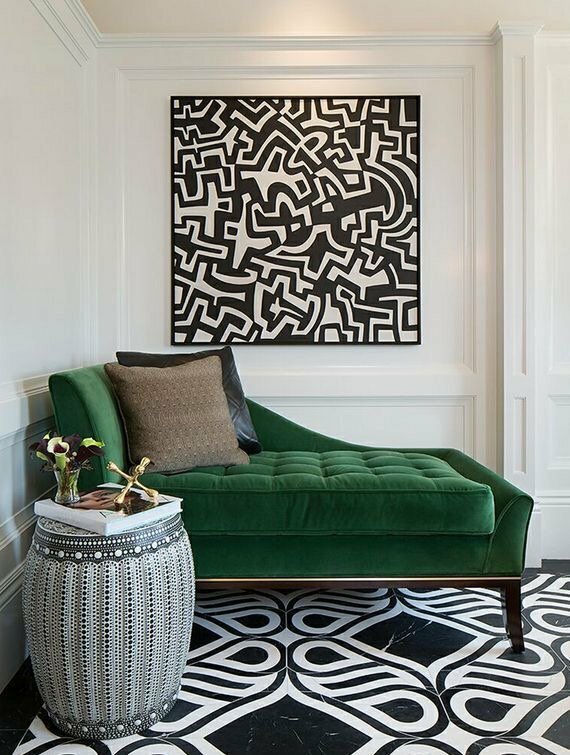 Luxurious emerald green velvet chaise (simplylovedesign). Whether vibrant or deep, this color is lavish, lush, and luxurious.As the color reminds us of currency, it reminds us of wealth and abundance. 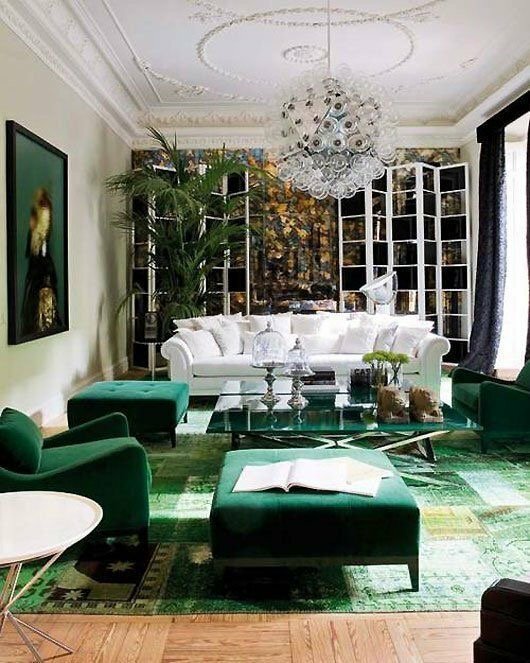 Spectacular green and white living room (mattcamron). 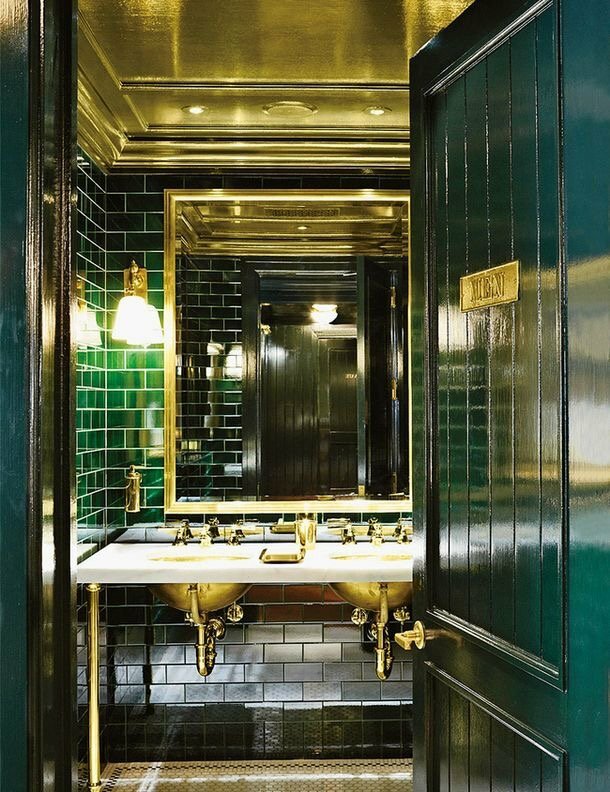 Grand emerald green and gold bathroom (architecturaldigest). 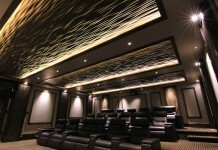 When placed beside metallic colors, the opulence of the color shines. 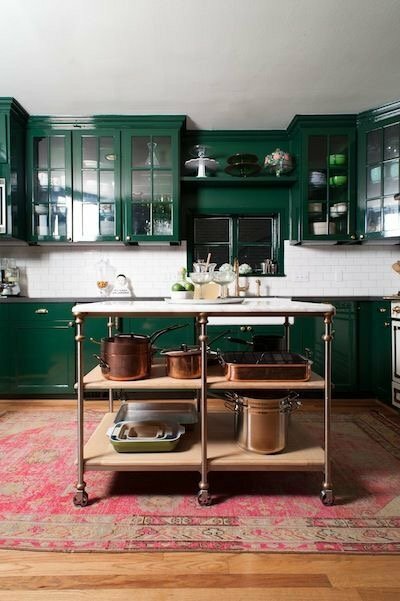 Emerald green backsplash in white kitchen. 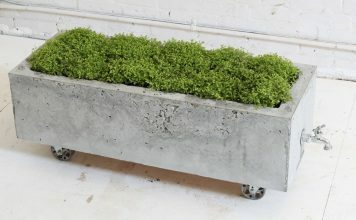 Unique green countertops, with accents of copper! (rebeccaatwood). 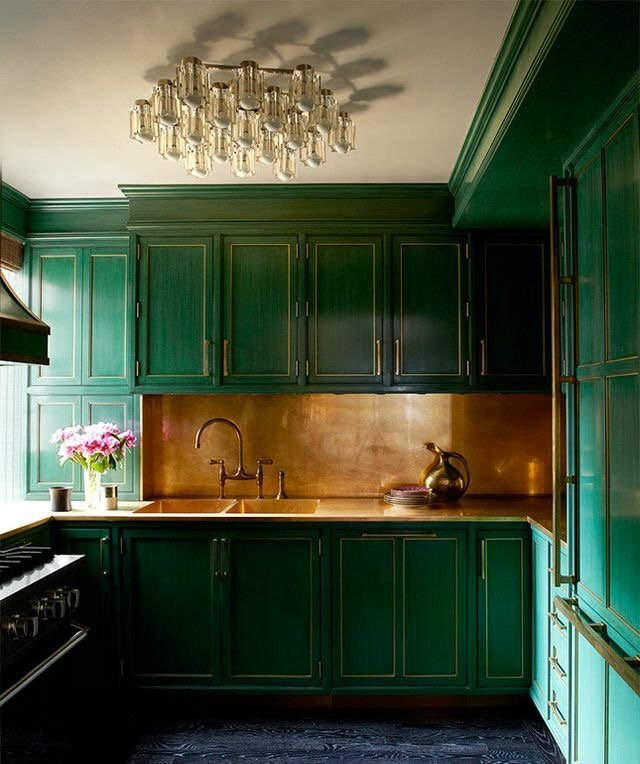 Cameron Diaz apartment, emerald green cabients with a copper backsplash (mydesignsource). 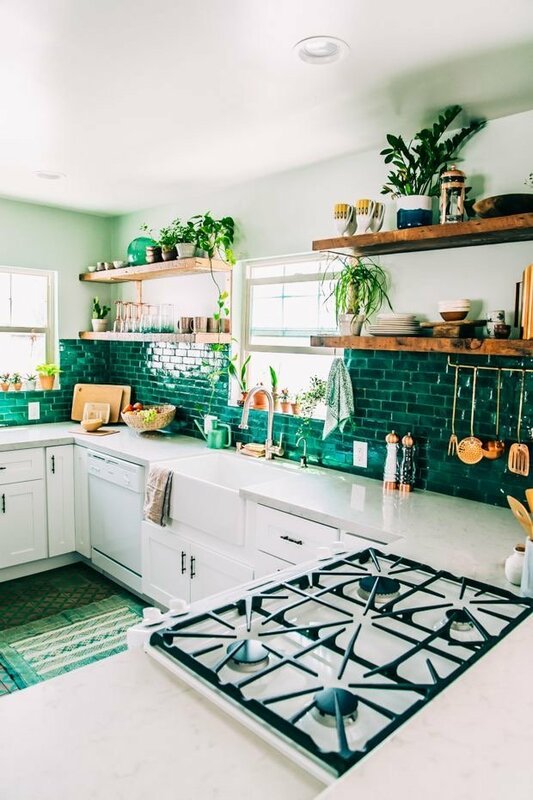 Although it was once said that the color was an appetite suppressant, emerald green kitchens are gorgeous and individual. 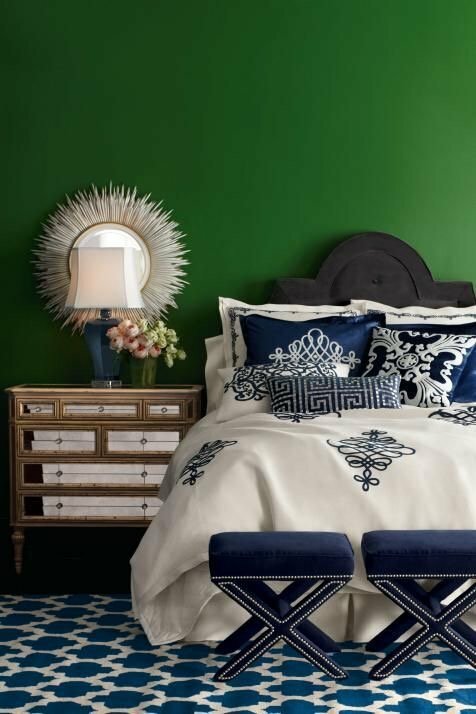 Vibrant green accent wall in bedroom (traditionalhome). 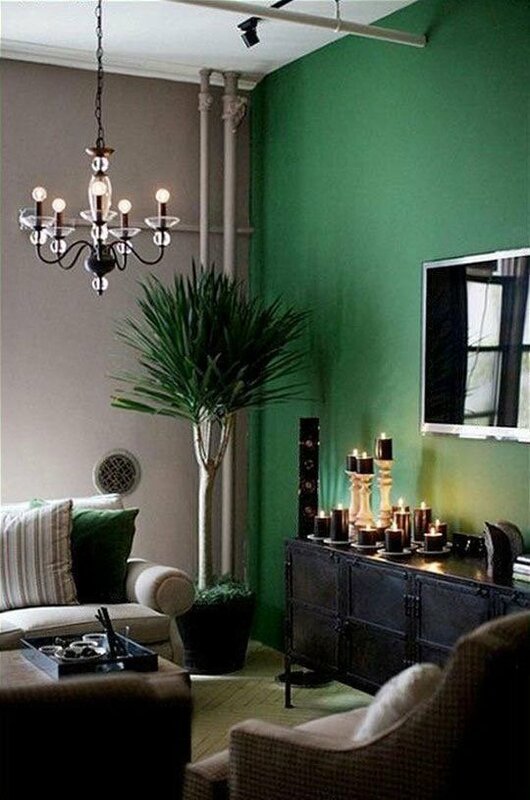 Rich emerald green accent wall in living room (apartmenttherapy). 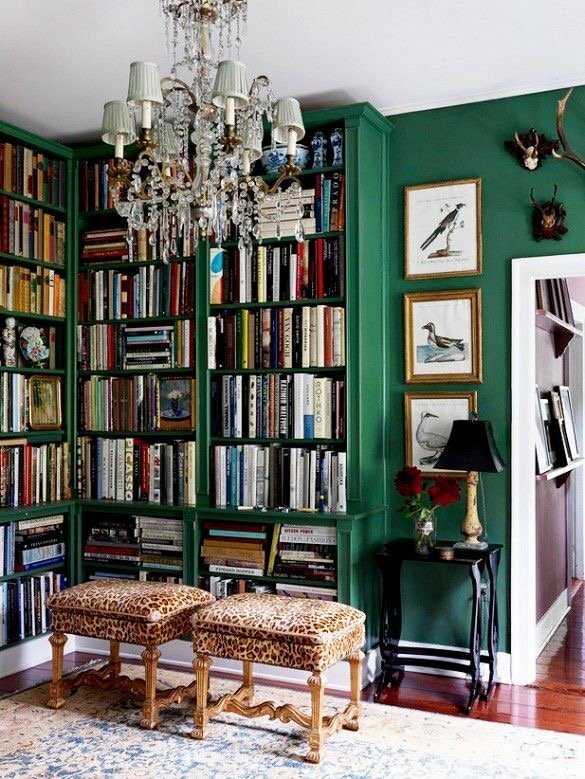 Emerald green living room with built-in bookcases (Sarah Sarna). While any room can be emerald green, statement rooms such as foyers, entrances, formal entertaining rooms, and staircases can certainly benefit from the grandiosity.